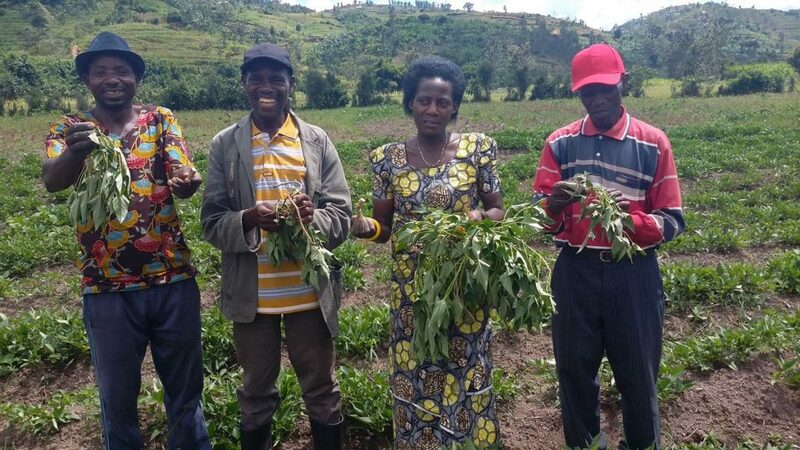 Sweet potato and beans farmers from Macuba sector in Nyamasheke district did not produce enough yields from traditional farming methods based on poor seeds which could result into hunger crisis affecting their economic development. However, the worse situation changed after Hinga weze “the United States Agency for International Developmen (USAID) project” provided various new high yielding seed varieties of sweet potato vines and bio-diversified beans to sustain socio-economic development of these farmers. Consolée Mukazitoni, 46, is the president of one cooperative of 56 farmers supported by Hingaweze project in Nyamasheke’s Macuba marshland, cultivating new variety of sweet potato vines. She told The Inspirer that the new variety is expected to give enough produce comparing to the old variety of potatoes which she said is a kind of farming that is done in a disorder and using many seedlings which are not productive. Hingaweze sweet potato vines are good and give a hope for good yield. 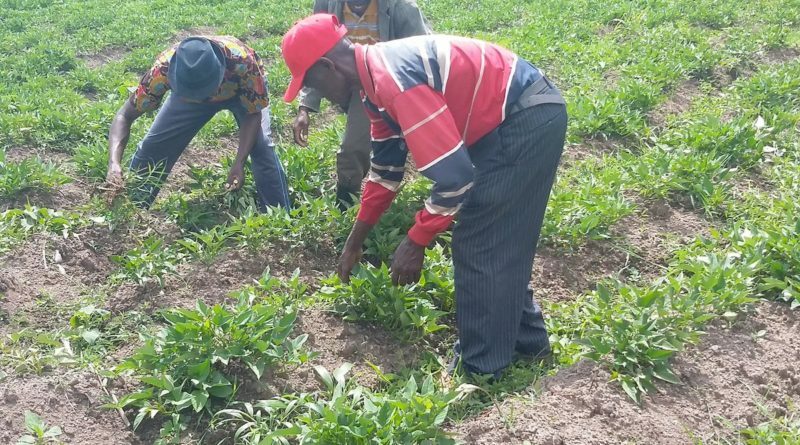 Mukazitoni said that their cooperative will approach other farmers who are still practicing traditional sweet potato farming and advise them to embrace new variety and planting strategy of Hinga weze so that they get enough produce. “Hingaweze visited us and provided us beans rich in vitamin A, they also gave us sweet potato vines, we planted them here and we found the difference from other vines we used to plant, they are also rich in vitamin A.
Mukazitoni said it is only one month they have planted this variety of vine but they have started producing sweet potato tubers, that gives a hope for good crop. She noted that it is the first time to experience this kind of sweet potato in the area. 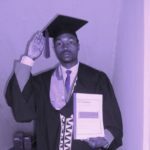 “For the other kind of vines we used to plant so far in disorder, we could not get good yield like this one, Hingaweze’s Agronomists gathered together many citizens of Macuba and many are ready to plant them,” said Mukazitoni. Eraste Gatana, president of Hinga Kijyambere Muhinzi wa Macuba (KOHIMUMA) the cooperative based on modernized agriculture that grows Hingaweze climbing beans rich in Vitamin A in Macuba marshland is the rep.
“As you can see these beans are productive enough and they can climb at highest level as long as we have long stakes,” said Gatana. 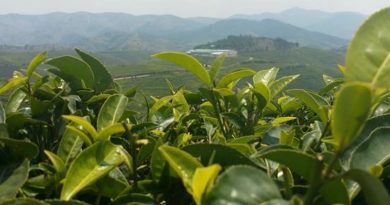 He said that their beans are on 4 hectares being exploited by six groups of farmers. They expect next year to plant these beans in all twelve cooperatives forming the cooperative as they realized the beans are very productive. Farmers in their sweet potato farm said the new seed variety looks different from traditional ones which they said are poor./Courtesy. COHIMUMA has 348 members;150 men and 198 women. Gatana said that the expectation of yield of Hingaweze beans into the farms look to be two times bigger than current beans. 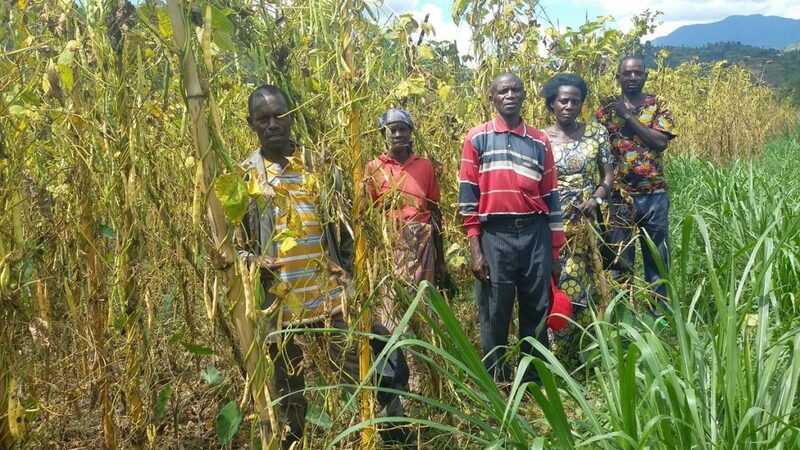 Last year, the six groups of this cooperative harvested 17 tonnes of the current beans and they hope to get huge increase of crop from Hingaweze beans. “Before working with Hingaweze we cropped 17 tonnes, I am sure that the crop from six groups will be better than someone who planted current beans, it is few months ago we start working with Hingaweze, and we believe we will also plant them individually in our homes,” Gatana said. He said apart from Hingaweze modern seeds, they also get lessons that are very important to food security. “I have kitchen gardens at home, I grow cows and chicken and my children get eggs to eat. Many farmers come to learn from the good practices I have run,” he said. Hingaweze climbing beans are productive/Courtesy. 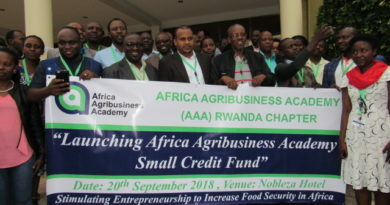 Hingaweze project is a five-year project that was launched on April 26, 2018 in Bugesera District, Gashora Sector and has been operating in Rwanda over six months ago and equipped farmers with needed skills in good farming practices and ways to cope with drought and crop diseases and pests. The identified crops by the project are Irish potatoes, maize, beans, soya beans and fruits. It aims to sustainably increase smallholder farmers’ income, improve the nutritional status of women and children, and increase the resilience of Rwanda’s agricultural and food systems to a changing climate. 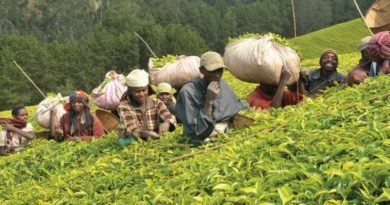 By 2022, the project will have benefited over 700,000 smallholder farmers in ten target districts: Gatsibo, Kayonza, Bugesera, Ngoma (Eastern Province); Nyabihu, Rutsiro, Ngororero, Nyamasheke, and Karongi (Western Province); and Nyamagabe (Southern Province), according to the managers of the project.